Exploring the intersections between research, narrative, and hybrid theater, multidisciplinary theater artist Soomi Kim, spoken word poet Kelly Zen-Yie Tsai, and musician Bora Yoon share new excerpts in development and dialogue about the nexus of race, culture, gender, and new visions for how we create work for a new world. Featuring excerpts from Soomi Kim’s Chang(e), Kelly Zen-Yie Tsai’s Formosa, and new music by Bora Yoon. Moderated by directors Suzi Takahashi, Jesse Jou, Glynis Rigsby, and Elena Chang (Asian American Arts Alliance). Soomi Kim is an actor/movement artist based in New York City. 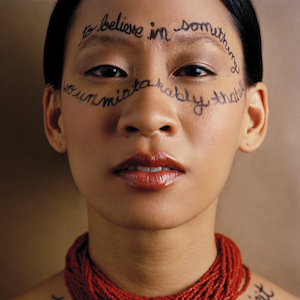 She is a currently a resident artist at HERE Arts Center developing her production Chang(e), inspired by the life of Kathy Change. Her other artist led productions are: Lee/gendary (based on the life of Bruce Lee – First Nat’l Asian Am Theatre Fest and HERE Arts Center; winner of the 2009 NYITA for Outstanding Production) and Dictee: bells fall a peal to sky (adaptation of Theresa Hak Kyung Cha’s Dictee – Women Center Stage 2012 and 3rd Nat’l Asian Am Theater Fest. 2011). All three productions are created in collaboration with director Suzi Takahashi. Kim has also appeared in numerous stage productions and has worked extensively with composer/choreographer Grisha Coleman and Ex.p Girl (female experimental movement theatre company). 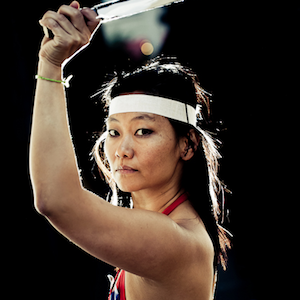 Kim is also a 2013 Artist-in-Residence at the Hemispheric Institute (Politics in Performance) for Chang(e) and recipient of the NPN Creation Fund touring grant. Chang(e) will complete a trilogy of performances inspired by note worthy Asian American artists whose lives were cut short. Kelly Zen-Yie Tsai is an award-winning spoken word poet, multidisciplinary theater artist, and filmmaker who has been featured at over 500 venues worldwide including the White House, Apollo Theater in Harlem, Kennedy Center, Lincoln Center, Tyra Banks’ Flawsome Ball, and three seasons of Russell Simmons Presents HBO Def Poetry. Awards and fellowships include Illinois Arts Council, Asian American Arts Alliance, New York Foundation for the Arts, Asian Women Giving Circle, Lower Manhattan Cultural Council, Hedgebrook, and Kundiman. Her plays Formosa and Say You Heard My Echo have been developed/presented at New York Live Arts, Ars Nova, HERE, Chicago’s Experimental Station, Museum of Chinese in America, Rising Circle’s PlayRISE on Theater Row, Hip Hop Theater Festival, Philadelphia’s Asian Arts Initiative, El Museo Del Barrio, and more. Composer, performer, sound artist, and vocalist Bora Yoon explores where sound connects to the subliminal using chamber instruments, digital devices, and song. She has presented her unique experimental soundwork internationally at Lincoln Center, Nam June Paik Museum (Seoul), Patravadi Theatre (Bangkok), Brooklyn Academy of Music, Walker Art Center, Festival of World Cultures (Poland), the Singapore Arts Festival, and the Edinburgh International Festival, performing the live score for the multimedia staged adaptation of Haruki Murkami’s Wind Up Bird Chronicle. 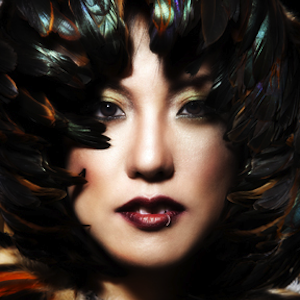 Featured in the Wall Street Journal, WIRE Magazine, and TED for her musical innovations—she has been commissioned by Samsung and SAYAKA Chorale of Tokyo; published by Journal of Popular Noise, Boosey & Hawkes, and MIT Press; and awarded by the American Music Center, Asian American Arts Alliance, and New York Foundation for the Arts. Co-sponsored by the Asian/Pacific/American Institute at NYU, Asian American Arts Alliance, and Hemispheric Institute of Performance & Politics.